Of all of the places I’ve visited, many are intrigued with hearing about my experience in Turkey. 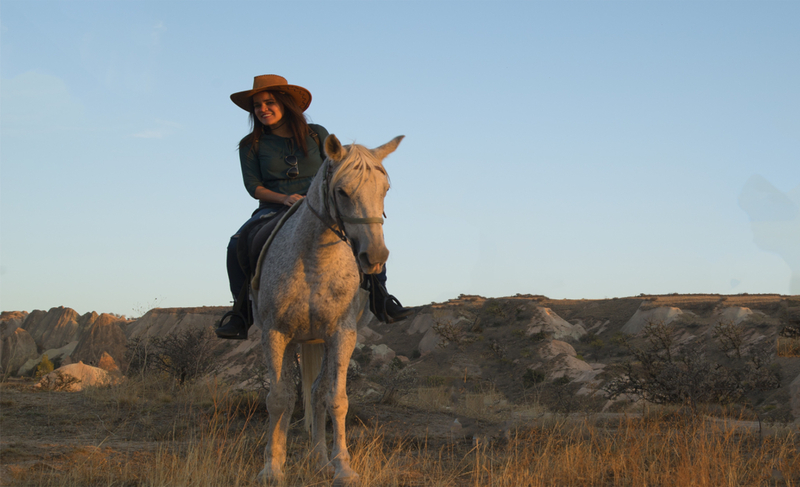 I’m constantly asked about the country, the traditions, safety and my comfort level while traveling there solo as a woman. Is it safe for a woman to travel solo to Turkey? Can I travel around Turkey solo as a female? Do I need a visa to enter Turkey? All I can answer first is, yes, solo females can travel to Turkey. 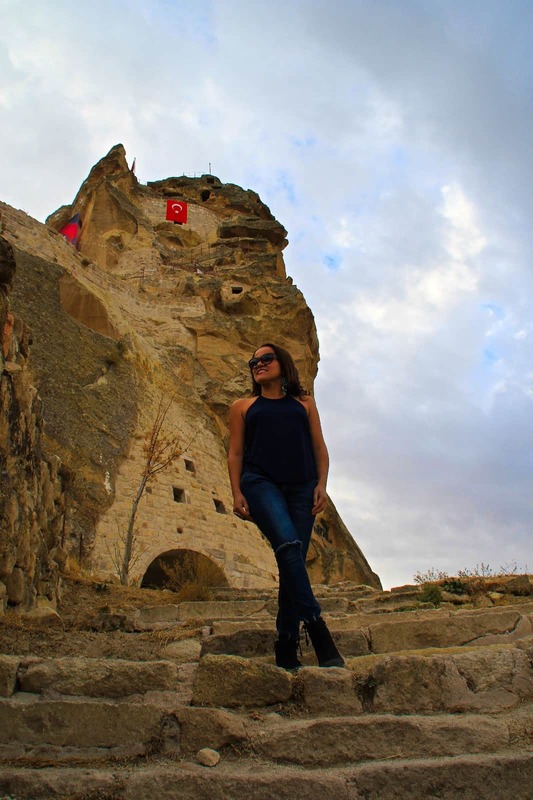 In this post (My Ultimate Solo Female Travel in Turkey Guide,) I will answer these questions and other topics include why I decided to visit Turkey (although being warned against it due to safety and terrorism warnings), how I got there, getting around as a solo female traveler, safety tips, my top list of what you should know before you visit Turkey in 2019 and a few lessons I learned along the way. Hello from Cappadocia! Yes, solo females can travel to Turkey. 1 Why did I decide to visit Turkey? 2.1 How did I arrive there? 4.5.1 Where to stay while traveling around Turkey as a solo female traveler? 4.5.2 Should I fly or take the bus around Turkey as a solo female traveler? Why did I decide to visit Turkey? I remember the first time I read about Turkey and saw photos; I was in school in Puerto Rico. Even back then, I would day dream about traveling the world and honestly, my dreams were very far away from my reality at the time. My family and I could not have afforded such a trip, nor was anyone in my family interested in leaving our beautiful little island. This is why, while living in Berlin Germany as an expat, when I had the opportunity, I jumped right on it and the result was a life changing adventure that took me around Romania, Bulgaria, followed by Turkey. My intention was to visit Turkey for 10 days, but I was so captivated by the country that I stayed an additional 8 weeks. It was definitely a special love and connection at first sight. 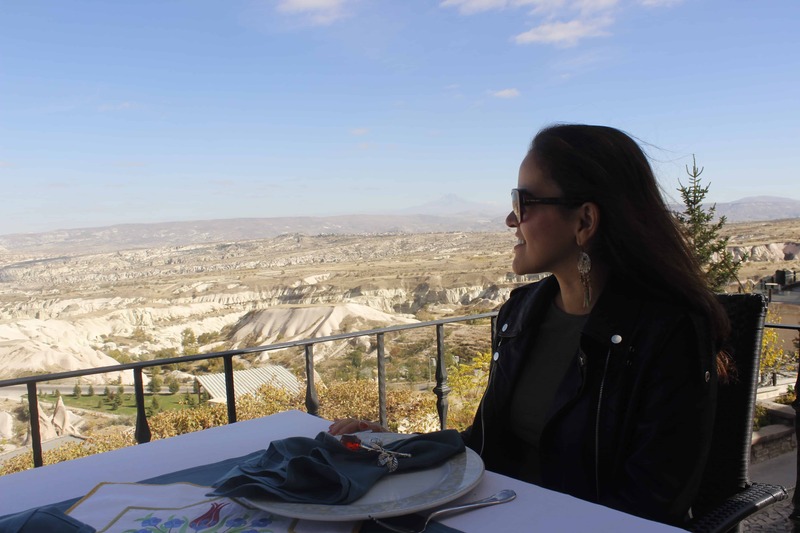 It was not only because of Turkey’s beauty and history, but for some reason, I developed a special connection to the music, the food culture, and the mystery behind it all. Turkey was one of my lifelong dreams, on my bucket list, and I was going to make the most of this experience. How did I arrive there? My experience was quite unique. After spending two weeks in Romania and another two weeks in Bulgaria, I took the bus from Varna, Bulgaria into Istanbul. The bus ride was supposed to be 7 to 8 hours. I took the 10:30am bus but I did not get to Istanbul until approximately 9:30pm. This was mainly due to the amount of traffic in Istanbul. If you are not familiar, Istanbul is known as having the worst traffic in the world. In 2015, TomTom’s annual Traffic Index (which explores traffic congestion in over 200 cities around the world and ranks a total of 146 cities) actually ranked Istanbul as #1 most congested city in the world in comparison to 146 large cities in the world. And you complain about LA Traffic, ah! Be ready to use your defensive driving skills. Everywhere you go, they will offer you Turkish coffee or tea. If you are not a coffee drinker, I recommend that you try their tea. It’s amazing! I especially love the apple flavored one. But there are so many choices of tea and many flavors of sweets (Turkish Delights) available in local markets. When possible, I always prefer to support small businesses. Based on my experience, it appears that the media sometimes exaggerated the news reported about this amazing country. And yes, I traveled solo around Turkey as a female, for over 8 weeks, just two years ago. I was a smart, safe traveler and I had the time of my life. While I understand that things have happened in Turkey (recent bombings and military coup), but the same can be said for many other places around the world such as France, England, Belgium, Germany, United States and more. I found the cities I visited to be safe and just fine for travelers. NOTE: Prepare for extra security at the airport. There are armed police at the popular tourist sites, especially in Istanbul. I also saw them scan people at each mall in Istanbul, but it is good to know they are checking everyone. Check out this post about Paragliding over the Blue Lagoon in Turkey! Of course, safety is always first! You do need to be aware of your surroundings and more than anything, use your common sense. Watch where you walk (no dark alleys at certain times), take an uber or a taxi late nights, be especially vigilant when visiting tourist-heavy areas, learn the emergency number wherever you travel and always know your embassy’s location. Lastly, try to get travel insurance, because it’s better to be prepared. These are basic safety rules for when you travel, wherever you travel. See, traveling as a solo female is easier than you thought! So again, yes solo females can travel to Turkey. Everywhere I visited in Turkey, if people thought that I was lost, they offered help. Lots of people speak English and Spanish, especially in Cappadocia and Fethiye. In Istanbul, I noticed that people did speak English, and other languages, but only primarily in touristic areas. In this case, the language was a little bit of a barrier, but hey, there are other options. You can’t expect everyone to speak your language, especially as a woman who is bilingual and is currently learning a third language (German), I know and respect people that speak more than one language. But, I also understand that if I am visiting a foreign country, they are not forced to speak my language…it’s my responsibility to be prepared. Useful things to know: get a phrase book, try a language app such as duolingo before visiting, learn basic words online (such as “hello” or “thank you”) and common, important phrases (like asking for public transportation, restroom or simply ordering a glass of wine). People appreciate when you are trying to speak their language, even if it is only a few words. This aside, you can always find ways to communicate such as using body language, which is mostly universal. 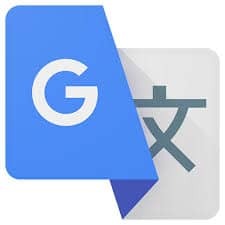 My next tip is a very useful one, download one of my favorite travel apps, Google Translate. THIS IS MY GO TO APP. It has saved my life so many times when I travel. This app has so many highlights. First, it’s free! Who doesn’t like free. Second, you can use it without data. How? 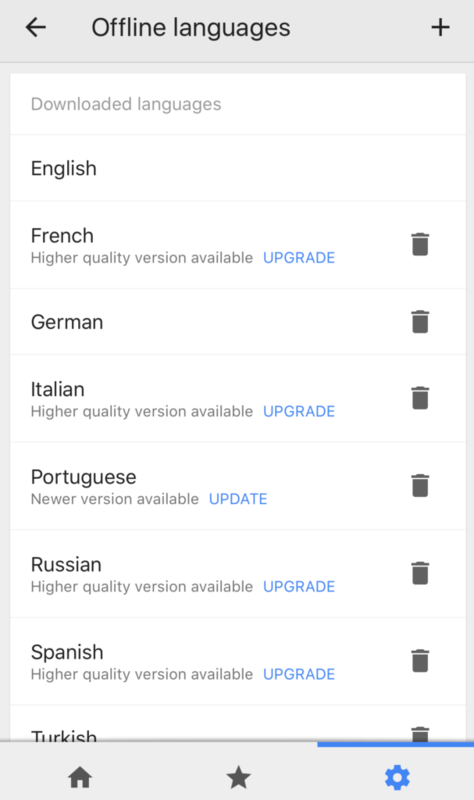 Just download the app, and then pick the language you want to use and download it for offline usage. Keep in mind, when offline the voice recognition to translate doesn’t work but the texting does. So, what I do is, I write what I want to say and show it to the person I’m speaking to, and then they write a response while I hold my phone. It has worked wonders for me. If you are concerned about your phone, know that I don’t give my phone to just anyone. You need to know where you are and whom you are approaching. I always wait to get the vibe and I don’t trust everyone. 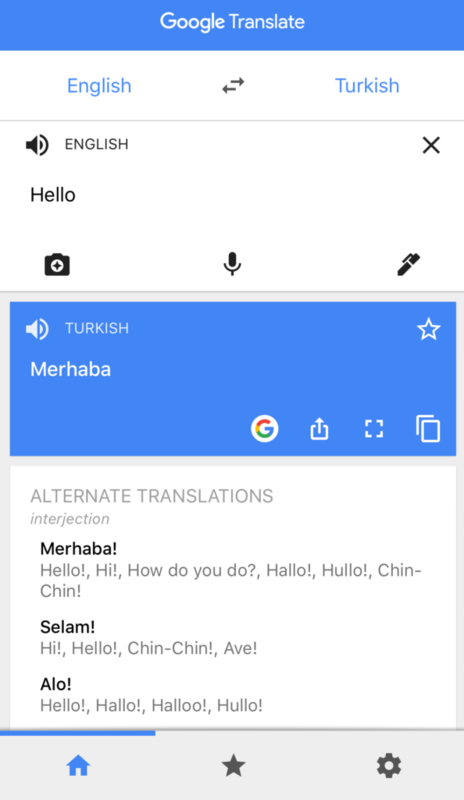 Funny and Random Story: I even went on a first date, only using Google translate to communicate. It was a little challenging but so much fun too. Oh well! He was cute and a gentleman. I guess that worked! 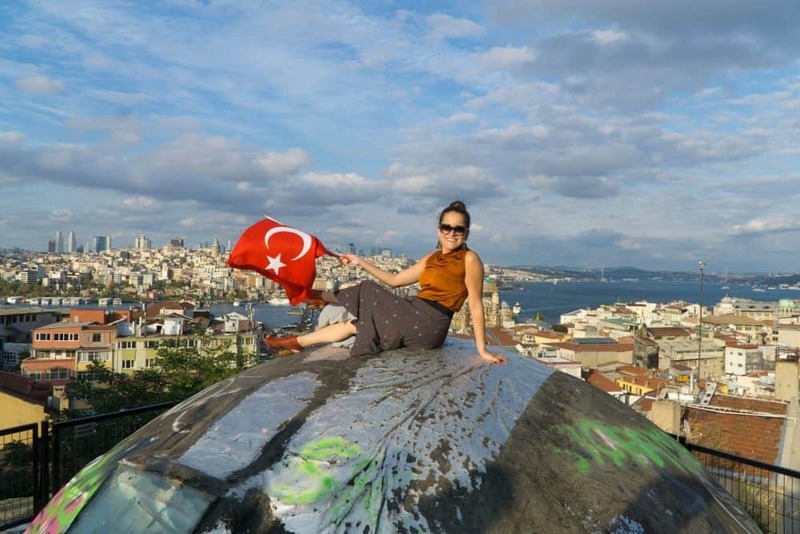 Just one example of a solo female traveler adventure in Turkey. Many people are not aware that Turkey has a European side of the country and an Asian side. The area where Turkey is located is commonly called Eurasia. Straddling the continents of Europe and Asia, Turkey tries to be a bridge between East and West. The portion of Turkey’s land in Europe may be small geographically (about 5 percent), but there’s lots to do! The country’s largest city, Istanbul, is mostly located on the European side. The Bosphorus, which connects the Sea of Marmara to the Black Sea, divides the city into a European, Thracian side—comprising the historic and economic centers (a more touristic area where you will find some of the top places to visit such as Hagia Sophia, Topkapi Palace, Sultan Admed Square, Blue Mosque, the famous Istikal street in Taksim and much more…the architecture alone makes the trip worthwhile) and an Asian, Anatolian side—a more local and residential area in my experience, which I personally loved. I totally recommend taking the Bosphorus tour to enjoy the views of both the European and Asian sides. 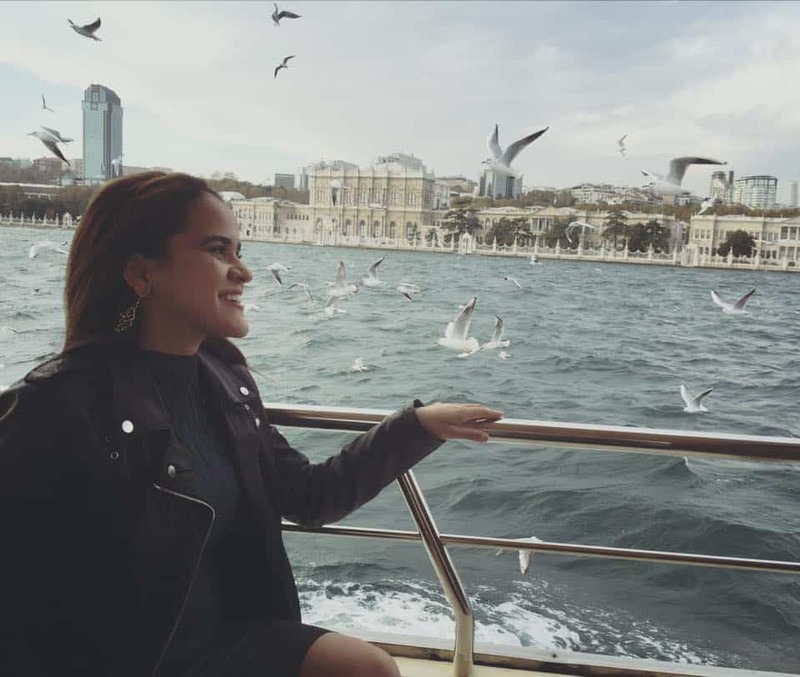 Also, don’t miss the ferry ride to the Asian side; views are to die for and there are so many trendy areas, such as Kadikoy. Just explore! There is so much to try in Turkey when it comes to food. It’s such a rich culture and it definitely shows in their food as well. The food is so tasty! I remember walking back to where I was staying in Taksim and getting food from street vendors. One of my favorite is the mussels, many found on a street of Istanbul called Bivalves. They are a staple of the city’s street vendor scene and so very delicious. I was addicted! Funnily enough, locals told me that they are hangover remedy too. I remember seeing all of the street food vendors open late, along the famous Istiklal street, as I was returning from a night out. A must try is the İskender kebap which is one of the most famous meat foods of northwestern Turkey. For those of you with a sweet tooth, never fear. There are amazing sweets such as Turkish delights and, of course, delicious baklava. Turkey won my heart with their food! Happy Belly, Happy Heart is my mantra! We solo female travelers require sustenance to keep up our strength! Honestly, I can write all day long about Turkish food. Coming soon: I will dedicate an entirely new article solely to Turkish cuisine. Yes, you do need a visa to enter Turkey, but it’s super easy to obtain. You can get it online or on the spot at the airport (or in my case at the border, since I entered Turkey on a bus from Varna Bulgaria to Istanbul). As someone with an American passport, I paid $25 on the spot, but costs will vary by country. They love their country, their culture and flags. You will notice flags everywhere. I don’t blame them for loving their patriotism…Turkey is an amazing country. 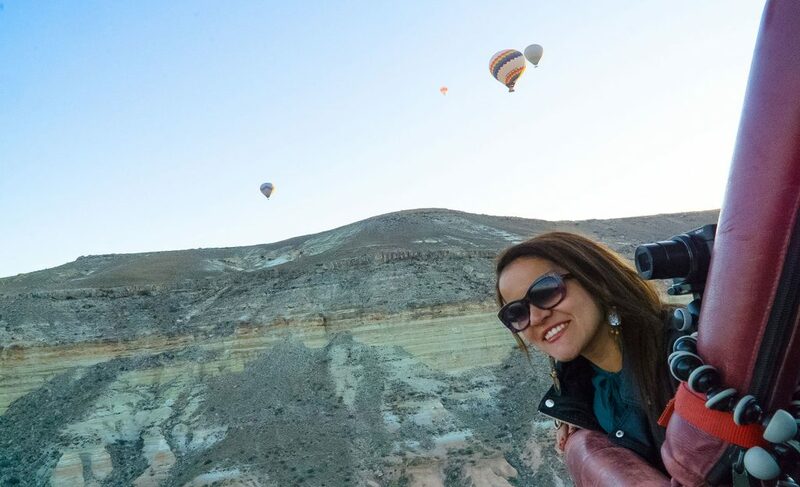 I was visiting Cappadocia for their Independence Day and there were so many concerts, activities, and all with such a beautiful vibe with people drinking, dancing…I had a blast! Loved it so much that I stayed there for a few weeks. In addition, you will notice that the founder of the country, Mustafa Kemal Atatürk, is considered a role model for many Turks. You will see statues, images and photos of him everywhere. They also have lots of respect for their flag (but honestly, who doesn’t). I understand that they consider it very disrespectful if you throw the flag on the floor or sit on it. Makes total sense. You can find Turkish flags everywhere, except I didn’t find too many flags printed on items or souvenirs, unlike other countries. You can find a few, but they are very rare. Even if I don’t understand many words in Turkish, or if the song was instrumental, you can perceive how deep and passionate their music is. I instantly felt a special connection with it. I loved listening to the amazing singers, the guitars, just the overall sound was transcending. You will hear lots of music everywhere but my favorite moment is when people start singing along and dancing. You will even see people on the streets walking as a group while singing and dancing. I don’t get tired of repeating myself – it’s such a rich culture! So, if you are a music lover and visit Turkey, I’m sure that you’ll enjoy yourself. Turkish culture is quite unique. They have so many traditions and there is so much to learn. But people are so lovely that they will surely make your experience unforgettable. It is all about the magic of the locals. I personally prefer the local scene. As a New Yorker, I can’t say that I was shocked by the busy streets or the sheer number of people in Istanbul (for example); it was like a huge Times Square. I literary woke up every morning and by the end of the day over 3 million people and I had walked through the streets of Istiklal. And from what I heard from locals, it used to be so packed that you could barely move. As far as I can see, Turkish tourism had decreased immensely. Sad to say, a very difficult moment in time for many local people. But you would never have guessed this from the smiles on their faces and their generosity of spirit. 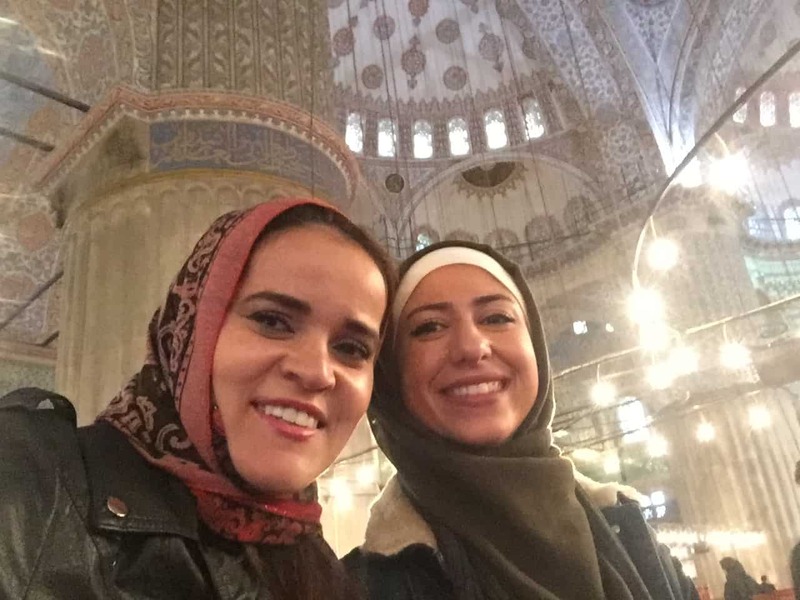 Inside the Blue Mosque with my new friend, Zeina. I cannot say all men are the same, but I heard from some women that they felt a little harassed in Turkey based on how men approached them. My experience was a little different, but I do understand how the way certain men will look at you can make women uncomfortable. I personally took it as if they found me exotic as a Latina traveling solo around Turkey, or many times as a joke since I would get several marriage proposals a day walking around Istanbul. When uncomfortable, I just told them to leave me alone or I ignored them and they’d walk away. For me, I was not that surprised by this behavior because I’ve experienced it a lot in NYC and when visiting other countries. What I do is I always try to remain aware of my surroundings, especially depending on the time of day. Like, after certain late night hours, Istiklal Caddesi was a little crazy with people partying and drinking. I never felt totally unsafe, but I would try to take a metered taxi back to the place I was staying earlier rather than later. It is better to be safe than sorry. On another note, I also met so many gentleman that helped me on my solo female travel adventure around Turkey. I am a pretty friendly person, so I usually do not have issues to with making new acquaintances. You can relax while on vacation, but take the same precautions as you would back home. When you go to Turkey, put Cappadocia on the top of your list of cities to visit. It is like being on another planet, a fairytale place. I still cannot believe I was there. The coastal areas are magnificent too. I totally fell in love with Fethiye and its blue waters. The amazing Blue Lagoon in Oludeniz Beach over which you can paraglide from the Babadag Mountains is not to be missed. You should also visit Bodrum, Izmir and many more cities around Turkey (too many to mention). Turkey really has so much to see and explore. As a true fashionista myself, I suggest you to go shopping. You would especially fall in love with the shopping in Istanbul. It is the best! So, if you are a globetrotting woman, do not hesitate. Solo females can travel to Turkey and totally enjoy themselves safely and on a budget. This is something that you should practice in every country you visit, especially as a solo female traveler. Pro Tip: Wear jackets or sweaters with inner, zipped up pockets. Also, when in Istanbul, you can always count on the Istanbul Tourist Police, whom are located between the Hagia Sophia and the Basilica Cistern, for assistance if needed. There are also other police stations and you will often see policemen walking around the most popular touristic areas such as Taksim, Sultanahmet Area, etc. It is always smarter to leave your most precious belongings and expensive jewelry at home when you are traveling. In addition, always keep in mind that you are visiting a Muslim country and, even though Turkey is more liberal, sometimes it’s better not to draw too much attention towards yourself by dressing too flashily or too revealing clothes, especially in more conservative cities. Usually around beach resorts areas is fine. Note: Try to always carry a scarf with you for when visiting mosques and other sacred places. It is also a good idea to pack longer skirts (at least below the knee) that you can mix and match with different tops, rather than wearing shorts. It’s now 2019 and Uber is banned in Turkey; so, the best way to get around late at night is with metered taxis. Maybe in the future, they will have Uber again or another ride sharing app, but for now taxis are the only option. In many tourist areas, you will get fake goods or just simply things that are not worth the price. Shopping in local markets, away from some of the most touristic areas, is better. Also, always have an app on your phone to check on the conversion of currencies, and try to negotiate a better price if you see it is too high…they expect you to bargain so don’t be afraid. Not everyone who says they’re a tour guide is a tour guide. This happens a lot in many countries such as India, Morocco, etc. I even recently noticed this while visiting the Taj Mahal in India. They bombard you from all sides as you are trying to enter. Just say, “No, thank you” and keep it moving. Try to only hire people with credentials, preferably recommended to you, or even from reputable agencies, hotels. 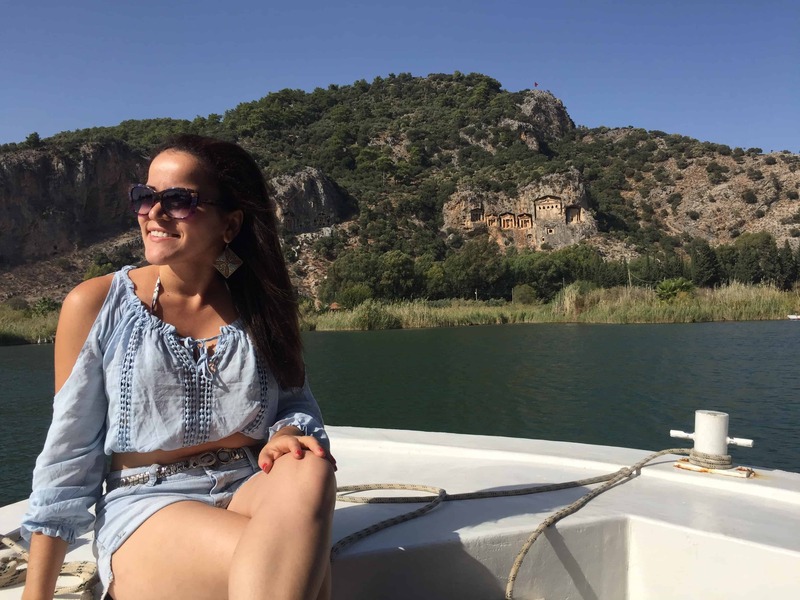 Where to stay while traveling around Turkey as a solo female traveler? I mostly stayed in affordable hotels, since I found very good deals online. I usually use booking.comfor it. I always read all of the reviews and then make my selection. There are also some good options for hostels where friends of mine have stayed. I usually prefer hotels whenever possible. If not, I always go for accommodations with private rooms, including ones with its own private bathroom. I feel more comfortable this way, especially when traveling solo. Whatever accommodation suits you, just make sure to always read the comments from other guests…they really do help. Overall, I found Turkey more affordable to visit and to get around than most western European countries. Should I fly or take the bus around Turkey as a solo female traveler? I would suggest flying if possible. This is not because of safety issues, since I did take the bus in Turkey and it was an overall great experience, but I do prefer flying because of the long distances. Also, in my experience, flying domestic was pretty budget friendly. Some of the bus rides were too long, like imagine going from Istanbul all the way down to places that I visited such as Fethiye, Dalyan, etc. Or even taking the 8 hour bus from Istanbul to Cappadocia. Buses can be a little uncomfortable after a while. For me, it was better to fly since I only paid around 10-15 dollars for those internal flights when I booked them. If you can fly, it is always easier and quicker. Sometimes, the bus is unavoidable. 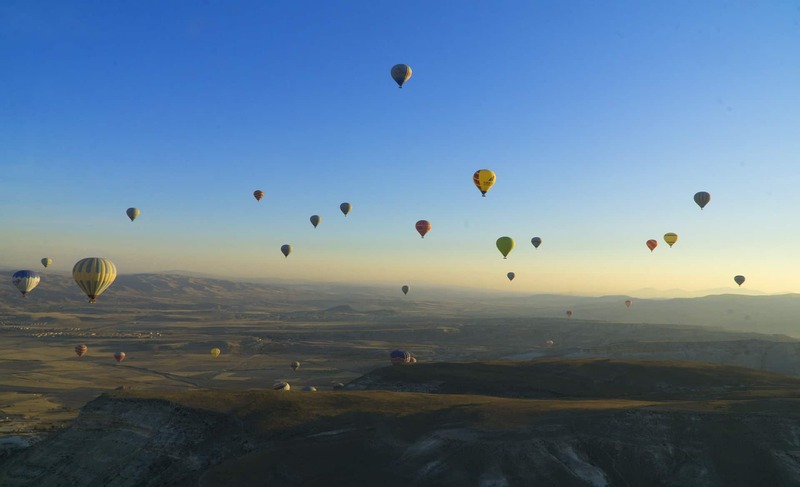 For example, you do need to take the bus one hour from the Nevsehir airport to the center of Cappadocia. But it is very affordable and it’s a nicer bus too. In summary, Turkey has so much to offer: Vivid colours, the delicious food and various aromas, the rich history, architecture and culture, the diversity, the nature, the beautiful views, the buzzing streets, great hospitality and the opportunity to learn so many traditions….what’s not to love?! I hope this Solo Female Travel guide to Turkey helps you on your journey around this amazing country. Life is an adventure and we need to get out of our comfort zone and go explore. I can personally vouch that solo females can travel to Turkey. Visit Turkey for yourself and you won’t regret it! Have you ever been in Turkey? Share your experience in the comments below. Enjoyed reading? Save it for later on Pinterest! I am happy to help! My goal is to inspire more people to visit this beautiful country! I totally agree with you. Yay for Solo Female travelers! Great post. I usually don’t travel solo (unless for work) but there are great tips in here for solo and non-solo travel. Such a helpful, informative post with so many great tips and encouragement for those of us looking to travel safely to Turkey! Thank you so much for sharing all of these. I’ve always been fascinated by the country and have wanted to go, and this only makes me want to go more! Exactly! I am glad to hear this from someone else 🙂 Turkish people are so nice. Great post, there are times when one gets a bit apprehensive about a few destinations based on various reasons. A lot of my doubts were answered today. And yes it is very much part of my to-do list. Thanks for sharing such wonderful information about Turkey. Thank you! I am glad to hear this. Safe travels! Incredible! I want to go to Turkey. I was meant to go last summer but I wan’t able too!! Thanks for sharing. You should plan a visit. It is totally worthy! I like the way you really connected with the women – some lovely candid shots there. 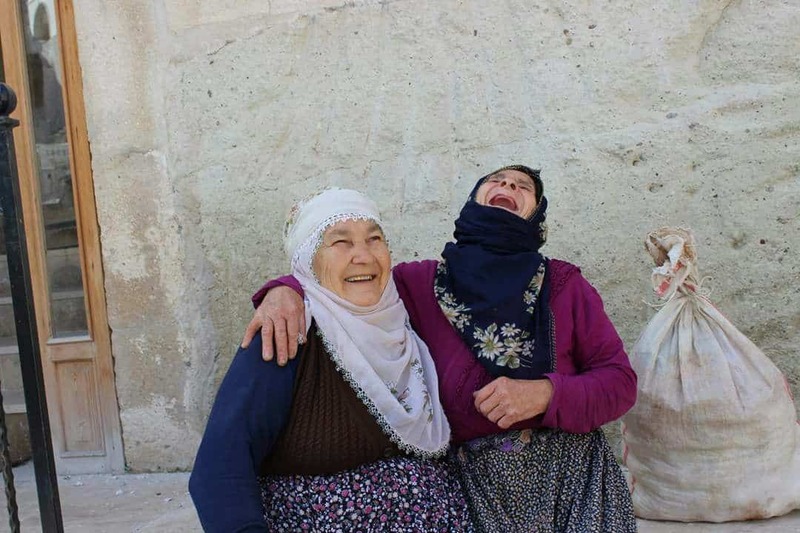 You give some really practical tips alongside your experiences, and it’s great to see a piece that covers so many different aspects of time spent in Turkey. Thanks for sharing your perspective! I travel alone a lot and was actually planning on going to Turkey last month but finally decided against it, primarily because of safety concerns. I’m not sure when you traveled to Turkey, but would you travel there now, given the political unrest? Also, I traveled to Morocco solo a few month ago and personally would not recommend solo female travel to Morocco based on the experiences I had there. I was just wondering if you’ve by chance visited Morocco as well and, if you have, how you would compare your solo travel experience in Turkey to that of Morocco? I actually would go back to Turkey right now but I cannot go since I am American. They do not give me a visa. I made so many friends there. It is a beautiful place. I believe that you need to be careful everywhere you go. I have not been to Morocco, but I will be there in January 1st. I will let you know how it goes. Completely agree with your views and tips. Solo women can and should absolutely travel to Turkey. But the same time, we should not forget our safety tips, the general rules that apply when traveling anywhere, and be prepared to occasional humps like an elongated bus ride in your case. Yes Neha! Indeed. We need to be careful anywhere we go. It is number one rule to do not forget about our safety. It’s so good you write about this! I actually was visiting Turkey last month and wanted to go to Istanbul by myself but my family didn’t want me to. I get the fears (I also was a bit afraid myself) but reading this makes me realize it’s possible. Great tips, thanks for sharing! Yeah it is possible. You need to always be careful everywhere you go. Safe Travels! I totally did! Turkey is breathtaking. I wrote other posts about things that I did there. Check them out. My mum keeps on telling me to visit Turkey, but I was scared to visit alone. Thank you for reassuring its safety alone. I have alot of turkish friends and they are nicest people but I just didnt know when in the country. I am Arab and people have the same impression as well about us. hahahahaha . Really good blog and great tips. Awww thanks. I am glad that I could help you. You should visit Turkey. It is totally worthy. Great to hear that you stayed for an additional 8 weeks, definitely a good thing! Your photos are gorgeous, finding it hard to believe I’ve yet to visit after reading this. Turkey is a nice place for solo female travelers. I am also planning to go to Turkey. That’s why on Google I was searching for information about Turkey and I found your blog. I read your blog and I get lots of valuable useful information. Thanks a lot for this great article! I appreciate it very much! Merhaba! I love Turkey, and I do travel sola around it. In fact, I will go to Antalya soon, and I’m planninto to go to Mardin. While I never been to Capadoccia, I went near Izmir by boat and train, and it was an incredible experience. Turkish people are lovely, and charming. I really cannot understand why some people is reluctand about visiting Turkey, as it’s such a marvelous country. And yes, it is very important to be careful wherever we go! Thanks for sharing your experiences, I totaly agree with you: Turkey is a country to be visited and loved! Great. I have never been there and very soon I am on my vacation. Thanks for updating my bucket list. Beautifully written article. You have many wonderful experiences in your travels. Thanks for sharing! Solo traveling is really awesome experience. Turkey is beautiful place for traveling. Solo traveling tips are before the check all destination information. You share the information is very useful for solo travelers. Great blog. Thanks for sharing! Thanks for sharing this inspirational post! So helpful to those solo female travelers.